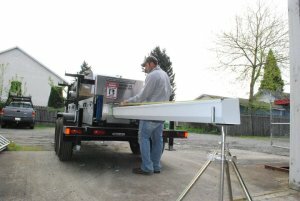 CR Gutters Inc. offers continuous rain gutters which are nationally recognized as the most popular form of gutters. 75% of gutters sold in the Washington state are continuous rain gutters & BBSP since 1984, we have provided superior service to our customers and have assisted them in achieving their gutter needs. Without gutters, damage can occur to your landscape, siding, fascia boards, and surrounding areas. Our gutters have a lifetime warranty on all our materials, and a five-year labor warranty. Continuous Rain Gutter Installers are a type of low maintenance gutter that feature enamel finishes that eliminate the need for paint. Our products include heavy-gauge aluminum, steel or copper gutters with no seams, drastically reducing the risk of leaks while offering remarkable protection. Standard Gutters Features offer quality at an affordable price. Each of our gutter products are made with the best materials and feature hand-crafted corners. Gutter Guard Solutions from Leaf Relief by Ply Gem distributed and installed exclusively by CR Gutters, Inc.
Gutter Styles and Colors can vary with over many color choices and several different styles – ensuring the perfect look for every home. Our friendly and professional staff is here to answer any questions you may have about our company or our services. Our goal has always been to provide our customers with the highest quality workmanship and we pride ourselves in our exceptional experience and diversity. Free estimates for rain gutter services for our customers in King and Pierce Counties. Call us today at 253-299-4256 (Pierce County), or at 206-701-6123 (King County). Contact CR Gutters today to schedule an assessment for a free estimate. In the meantime browse our website for more information regarding standard gutter features, gutter guard solutions or gutter styles and colors.